Hello there and thank you for stopping by today. 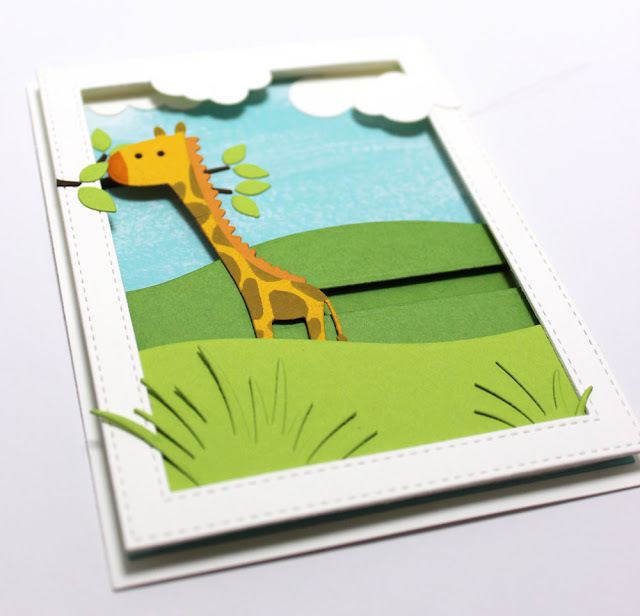 Today is the second day of the MFT Jungle Friends Card Kit Countdown. 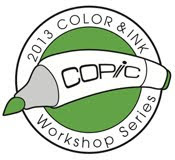 Tonight, the new kit releases (yay)! Be sure to head over to the MFT Blog for the full kit reveal and more inspiration. My card today uses the sweet giraffe from the Jungle Friends die set. I Put the giraffe on a slider track and have him advancing toward the leaves on a branch. I painted the Summer Splash Card Stock with some gesso to create wispy clouds, and added some puffy clouds to the scene as well. Along the bottom, I added some clumps of grass. It is all framed in a Stitched Rectangle Frame. I just adore these animals. They are so fun to create with. PS: to create the pattern on the giraffe, I used the giraffe stencil and masked off small portions to cover the small space. This new card kit will be available for purchase tonight, April 19, at 10 PM EST. 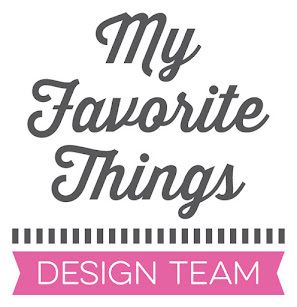 Be sure to check out the MFT Blog to see what the rest of the team has come up with today. Great depth and dimension on this beautiful wild scene, love the cute giraffe! What an adorable idea. Such a cute scene. Let the cute giraffe eat leaves- terrific card! Great dimension. Beautiful colors. Love it! The giraffe is my fav! I love the shadow box effect! Love the depth on your card. 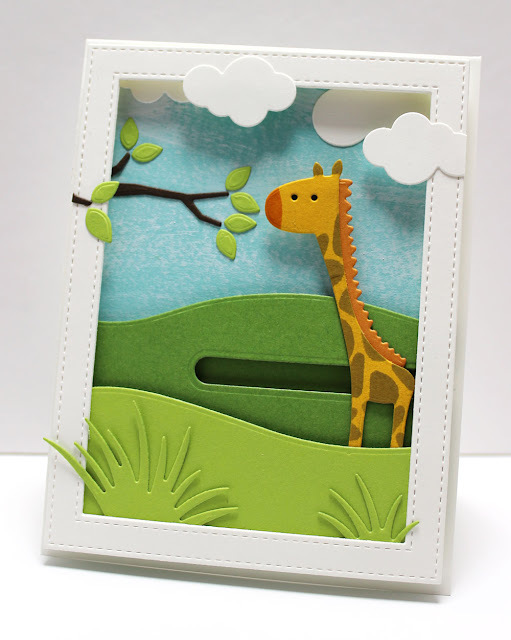 Very fun card - I love how the frame encloses the whole scene - plus that giraffe slider is adorable! 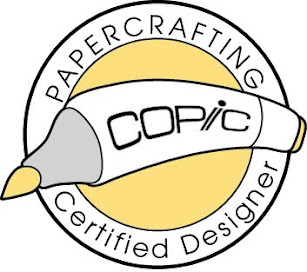 I can't wait to try making one myself. Love that the giraffe is moving towards something and not just randomly sliding because you had to use a slider! Very cute and well done!! !